Get a free business valuation Now! Get a Certified business valuation Now! The only valuation with a statistically calculated Reliability Score. We recalculate the value of your business over 10,000 times to determine the reliability of our value estimate. 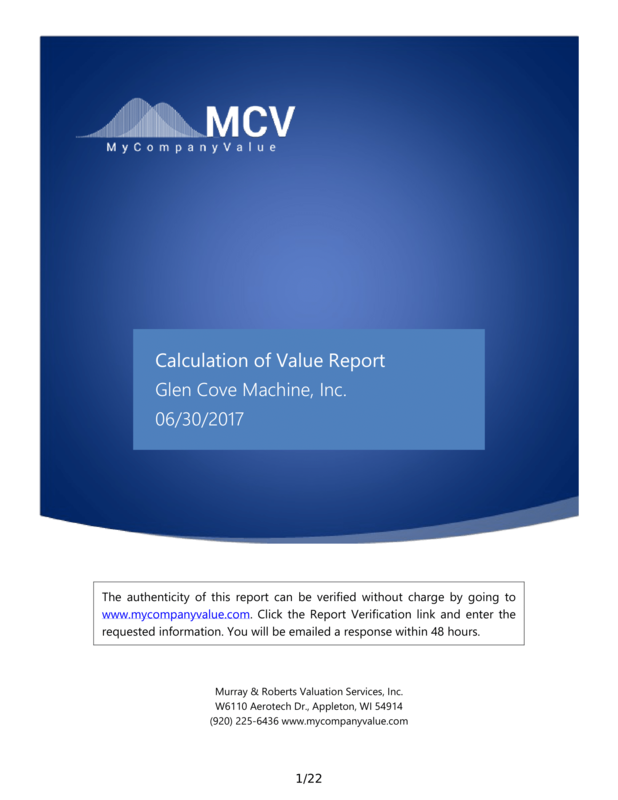 Our calculation of value report will give you the information you need when you need it. When a joint marital estate includes a business interest, getting a calculation of value report early in the process can save thousands in fees and weeks off of the divorce process. The IRS requires a valuation report be attached to Form 709 Gift Tax Return when it includes the gift of a business interest. If your company offers stock options to employees, IRC section 409a requires a business valuation. Repurchasing stock from a Roll Over Business Start-Up plan also requires a business valuation.